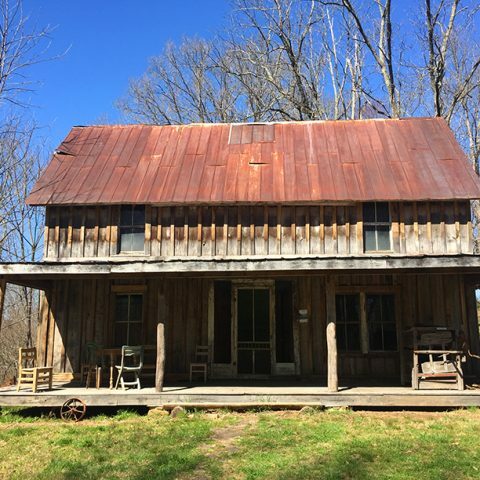 Appalachian Outfitters – An outdoor outfitter in Murphy, North Carolina offering group biking, fishing, hiking, and kayaking outings, which are free and open to the public. Franklin Chamber of Commerce Hiking Information – The Franklin Chamber of Commerce provides hiking information and resources for those visiting the Macon County area. HikeWNC.info – An online hiking guide for North Carolina’s Appalachian mountain region, containing all of the information you need to make your next trip complete. Jackrabbit Mountain Biking & Hiking Trail – Jackrabbit is a trail system off of Jackrabbit Road in Clay County, NC. It is located on a peninsula on Lake Chatuge on the NC/GA border. It includes nearly 15 miles of trails for hiking and biking. 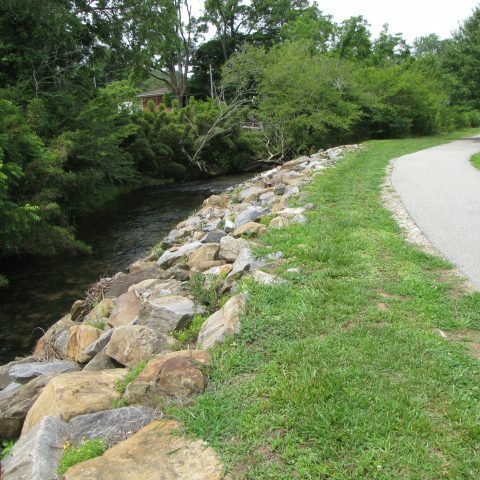 Murphy River Walk & Canoe Trails – This beautiful greenway follows the Valley and Hiwassee rivers surrounding the center of Murphy, North Carolina. It features two miles of walking trails with observation decks, and several miles of canoe trails for paddlers. Nanatahala Hiking Club – The Nanatahala Hiking Club is based out of Franklin, NC and has the responsibility of maintaining about 58.6 miles of the Appalachian Trail from the North Carolina/Georgia border at Bly Gap to the Nantahala Outdoor Center at the junction of US 19 and US 74 in Wesser, NC. NHC plans hikes on Saturdays and Sundays and guests are welcome. Needmore Game Lands – Acquired by the State of North Carolina in 2004, the Needmore Game Lands now encompass more than 5,000 acres and 30 miles of river frontage in Swain and Macon Counties. The game land is open to hiking, birding and hunting. 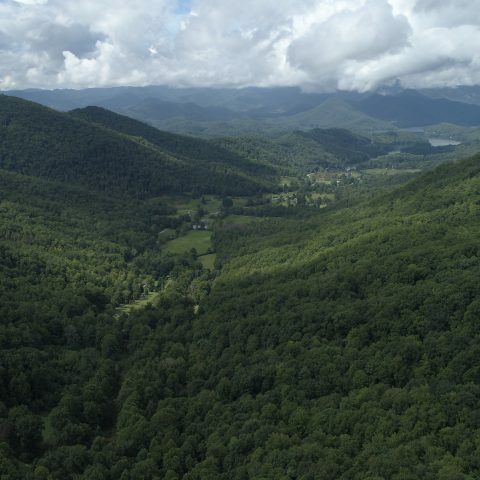 Outdoor 76 – A permitted and insured outdoor outfitter in Franklin, NC, Outdoor 76 offers free guided community hikes ranging from 1 mile up to 6 miles round-trip depending on location & terrain. It also offers private guided hikes and fly fishing services. Southern Appalachian Bicycle Association – SABA cycling club built and maintains Jackrabbit Mountain Bike & Hiking Trail System in Hayesville, NC. It welcomes riders of all ages and abilities, with skill levels ranging from novice to elite, and hosts group rides. Little Tennessee River Access Maps – This PDF provides information of both public and private access to the Little Tennessee River. Smoky Mountain Blueways – Blueways are water trails that connect people with nature. This site provides information and resources for accessing the blueways that flow through the Smoky Mountains of North Carolina including rivers, lakes, and streams for paddling, fishing, swimming, and more. Stay and Play in the Smokies – Water Fun – From whitewater rafting the Nantahala River to swimming holes in Great Smoky Mountains National Park, “Water Fun” covers them all. Stay and Play in the Smokies – Fishing Info – This site equips you with a wealth of local knowledge and makes recommendations available to you and your group about how to prepare, where to buy your North Carolina fishing license and, more importantly, where the fish are. Needmore Game Lands – Acquired by the State of North Carolina in 2004, the Needmore Game Lands now encompass more than 5,000 acres and 30 miles of river frontage in Swain and Macon Counties. The game land is open to hiking, birding and hunting. Learn about birding at Needmore. North Carolina Birding Trail – The North Carolina Birding Trail website offers information about birding locations throughout North Carolina, and the nearby communities. The NC Birding Trail is a partnership project to establish a driving trail linking great birding sites across the state, and includes Mainspring’s own Tessentee Bottomlands at #53. North Carolina Wildlife Resources Commission – The North Carolina Wildlife Resources Commission is the government agency in charge of conserving and sustaining the state’s fish and wildlife resources. Its website offers information on hunting and fishing licensing and game lands. Southern Appalachian Raptor Research – Southern Appalachian Raptor Research (SARR) is a volunteer bird monitoring and research organization, which operates Big Bald Banding Station (BBBS) in the southern Appalachian mountains of western North Carolina and eastern Tennessee.